He* was locked in a lethal battle by his own perception of reality. The whirring sound of the Hummingbird’s wings was repeatedly punctuated by a soft ‘thump’ as he stubbornly threw his tiny body against the sunlit window high above the kitchen floor. This beautiful creature seemed convinced that the window represented the pathway to freedom, contrary to the repeated painful experiences indicating the opposite. How or why the Hummingbird had ventured inside our home seemed unimportant when faced with the challenge of returning him to his natural habitat outside our home. I expect that the feeder we had just purchased, filled with sweet water and hung on our back porch had probably tempted the tiny thing too close to the open sliding glass door. No amount of gentle encouragement from a feather duster or threatening with a broom had the desired effect. 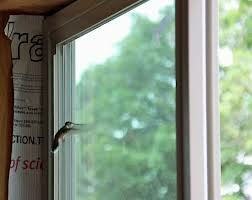 In fact, each attempt resulted in increased frantic flying into the glass, with loosened feathers floating onto my head. 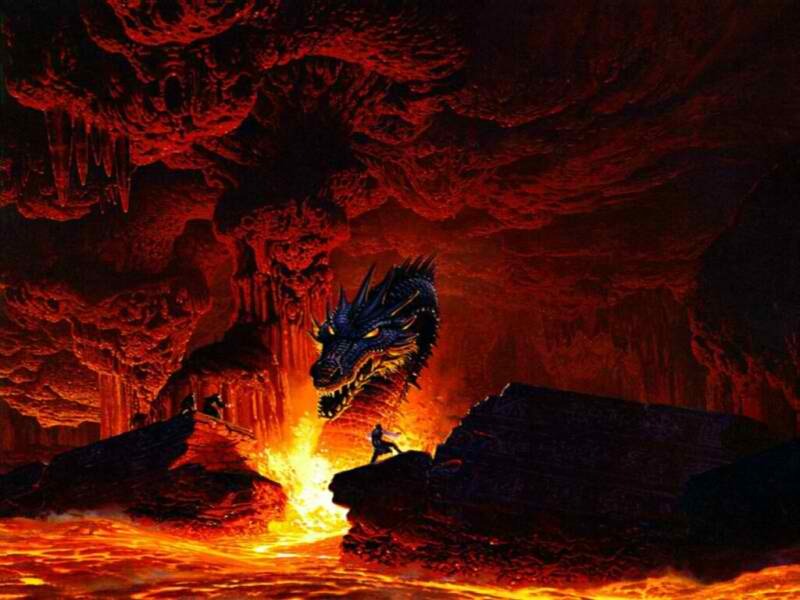 Frustrated and fed up, I threatened aloud to let the ignorant captive determine his own fate. Perhaps it was the fact that my mercy mission attempts aggravated my painful tennis elbow that caused me to cease my efforts with the heartless condemnation, “Let him die up there then!” Suddenly there was silence. No pulsating wings. No muted frontal assaults on the window. And in that moment it was as if the bird’s beak pricked my heart. I, too, was a hopelessly stupid Hummingbird. Two weeks ago, my intention was to play tennis every day, having not been able to play at all over the past 3 ½ months. I had attacked the court with determination, flailing away wildly, but enjoying the sun, sweat and competition. It was not so much a question of beating my opponent as it was battling my own body. Bashing the ball across (or more often, into) the net left me feeling in charge of the body that was so relentlessly giving up ground to Parkinson’s disease. But after two days of enthusiastic play my right elbow screamed, “Stop!” I bowed out of the scheduled match for the third day thinking that one day’s rest would have me back in play again. That was not to be. Deflated, I felt like giving up on my efforts to fight the PD I felt imprisoned by. The misplaced logic of my younger, pre-Parkinson’s years had led me to believe that I could pick up a tennis racket and play a set or two without preparation, practice or even warming up adequately. It took the insult of injury to align my perception with the reality. 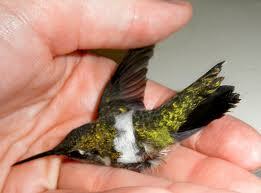 Who was I to judge a helpless little Hummingbird? The fragile bird lay on its back on the windowsill. My brother-in-law gently grasped the tiny body, intending to relieve me of the need to deal with the lifeless corpse. But, surprisingly, the helpless wings briefly fought against the cupped hands in what must’ve been a final effort to fight for freedom. 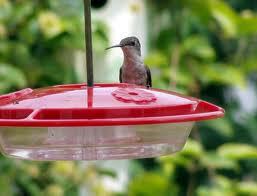 Hand-delivered to freedom outside, very little energy remained as he was placed carefully on the bright red feeder. He seemed to have just enough life left in him to clutch desperately to the edge of feeder on the porch and sit motionless for several minutes. Dazed and exhausted, he peered about as if lost. I imagined that the Hummingbird was traumatized and disabled to some extent as he flew away, not the same bird he had been before. But maybe, just maybe, he had learned something about accepting reality instead of choosing the punishment of false perception. *The choice of male pronoun was not intended to be gender biased. Presumption of gender was chosen for reasons which will become self-evident. If Agustin could travel outside of his native Chile just once, it would be to Montréal, Canada. Due to his Parkinson’s disease, the 5500 miles (8800 km) and 18+ hours in airplanes and airports would make for a difficult journey. But he knows that nothing has more potential to change his life, and consequently the lives of those he impacts in his own country, than to be in Québec during the first week of October, 2013. No, it would not be to see the beautiful fall colors. Agustin wants to participate in the third World Parkinson Congress. He wants to learn more about how to live with this disease that challenges his every move, and pass that knowledge on to other Chileans who struggle with PD. What he doesn’t realize is that the true impact of him attending WPC 2013 would be to inspire and encourage many of the more than 3000 attendees. His enthusiasm and zest for living has the potential to spark even greater commitment within the global community of neurologists, researchers, healthcare professionals and people with Parkinson’s. I met Agustin when visiting Santiago, Chile, last year during my “Shake up My World” round the world trip (see my blog post). He is representative of other people with Parkinson’s who have demonstrated leadership in their own communities. But, despite his proven abilities, one week at the Congress would connect him with resources and dozens of other leaders in the Parkinson’s global community. Although it only happens once every three years, the World Parkinson Congress is a “game changer”. My own experience in attending WPC 2010 in Glasgow, Scotland, is evidence of that. As challenging as the traveling would be for Agustin, and as frustrating as it may be for him to communicate in English, rather than Spanish, he would be up to the challenge. But there is one hurdle that he needs our help to get over. It is the same one confronting Roland from South Africa, Maria from India, and literally hundreds of international leaders in the worldwide Parkinson’s community. They cannot afford to attend WPC 2013. That is where we all can help. A number of us who have been privileged to serve as designated Ambassadors for the World Parkinson Congress have decided to put our money (and our efforts) behind the creation of a grassroots initiative. This is intended to be an opportunity to provide travel grants to those worthy candidates from around the world who would like to attend but simply do not have the money to do so. Please consider an online contribution, whether it be $10 or $1000, by clicking on this link? 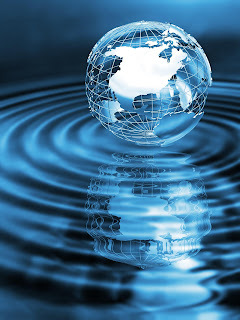 We are confident that financially enabling proven leaders to attend WPC 2013 will literally have a multiplication effect within the community battling the disabling effects of Parkinson’s disease. While we can only fund a few, we believe those few can have a significant impact on the 7,000,000+ people struggling with Parkinson’s worldwide. 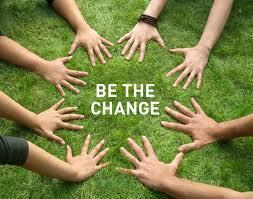 Will you help us change the world one deserving person at a time? 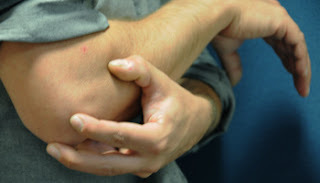 Dry Needling – Tattooing with No Ink? 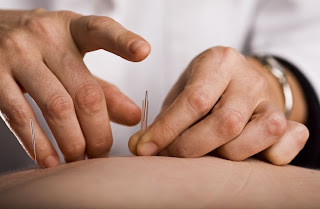 Carl kept me talking, as if doing so prevented me from screaming, and asked, “Have you ever tried acupuncture?” Having experimented with acupuncture once on a cruise (see my post from that experience) I wasn’t overly enthusiastic. 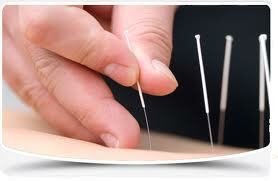 However, this led to his introduction of “dry needling”. Curious phrase. Sounded cruel. Had I looked up the concept I would’ve learned that it was a close cousin to acupuncture but with more hard science and less mystique. It uses similar solid core (as opposed to hypodermic hollow core – “wet”) needles to probe trigger points for intramuscular stimulation in order to relieve muscle pain. While not common, it is used by trained physiotherapists for relief of golf and tennis elbow pain. Maybe it was to avoid the continued punishment by massage, but I quickly agreed to try it. The needles were very thin. About the size of a human hair. Half the size of sewing thread. It was like using the smallest tattoo needle, but without the ink. Carl carefully marked the path of the offending muscle, although the angry red snake stretching down my forearm was easy to identify. Next, he tapped the 1 inch long (35mm) needles out of their storage tubes (like finger-propelled blow guns), through the skin and into the unsuspecting muscle. I half expected to hear the scream of a dragon that had been pierced through its neck by a sword. But there was no pain. No blood. Only a strange tingling sensation. As Carl tapped in the second and third needles into the burning muscle he explained that the procedure was like coaxing the muscle to relax, loosening its grip and resting a while. Grasping the head of each small needle in turn he wound it about like an old style butter churn, withdrawing it slightly then plunging it deeper,moving it from side to side under the skin. I knew every time it hit the right place in the muscle when my arm gave a little twitch. It felt fine, just looked a little strange. As I explained my Parkinson’s symptoms to Carl while he poked and prodded under the skin of my arm with those tiny needles I realized that very few people understand that Parkinson’s disease isn’t just tremors and stiffness. There can be real pain involved. I must admit that I was relieved when my session was over. While my forearm muscle in question was very tender, and a bit swollen from the beating it had taken, it did feel more relaxed. Dry needling didn’t seem like such a far-fetched idea anymore.